New bloggers get discouraged when the money doesn’t start pouring in on their small blog and wonder if they can compete with the big fish like Huffington Post and Lifehacker. Even on strong blog traffic, it can be excruciating trying to outrank bigger blogs in Google for the kind of blog visitors you need to make money. Forget being a big fish in a little pond, you’re a little guppy in the deep blue sea! I reached out to my fellow bloggers to see just how small my own blogs are and get some tips on how new bloggers can make money with little or no traffic. What I found was that not only can small blogs compete but they actually have some advantages over the blogging whales! Blogs are ranked by monthly traffic and assigned a creature of the deep, which are in order of their weight. Admittedly, the graphic is skewed to those active in my own tight community of bloggers. 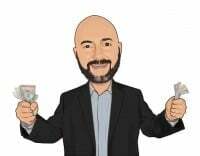 You’ll notice most of the blogs are from the personal finance community or about making money online but the ideas shared after the graphic can be used by any blogger and any size blog. A few notes on the graphic. Bloggers, if you don’t like your fish…sorry. Notice I avoided calling anyone a sperm whale or guppy. The blogs here are probably skewed to the small side. A lot of really big bloggers are hesitant to share their traffic numbers for fear of being a target. Also, notice I didn’t include the mammoth of the deep, the 150-ton Blue Whale. That’s going to be the super-huge blogs like TMZ and Business Insider run by teams of bloggers. Instead, I wanted to focus on sites run by individual bloggers to show how one person can still make big money. Can Small Blogs Make Money on Little Blog Traffic? Yes! 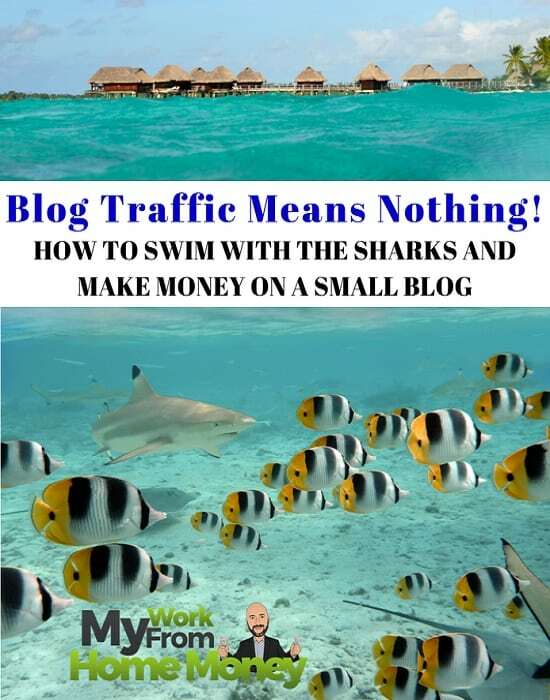 Despite blog traffic differences, any size blog can make money. If you have one visitor…you can make money blogging. Despite only reaching a few thousand visitors a month, John and David of DebtFreeGuys are financially independent and Kayla of ShoeaholicNoMore makes over $10k a month from her site. The largest of my five blogs, PeerFinance101, reaches only about 25,000 people but brings in just over $3k a month. I hit a new record of $7,114 in blogging income last month on just 57,000 visitors to my websites. I also know bloggers with tens of thousands in monthly blog traffic that struggle to make money. It’s all in how you monetize your blog, how well you develop your income sources. Believe it or not, smaller blogs do have some advantages over the internet giants. Bloggers with less traffic can reach out to readers on a personal level and engage their visitors. When a blog grows into the hundreds of thousands of monthly visitors, email gets to be too much for one person and most big blogs outsource it to an assistant. Use blog size to your advantage and create a bond with your readers by personally responding and learning from each other. A problem I’ve seen with a lot of big blogs is outgrowing their audience. Bloggers start with a very specific reader in mind and the blog does great because that small community can relate to the message. That sense of community is what really makes a blog successful because it builds trust. Some bigger blogs (not the ones on this list, you’re all awesome) try to reach ever larger audiences by being all things to all people. The blogger writes for a more general audience to appeal to everyone. They end up with huge blog traffic but ironically they reach no one on an emotional level. Develop that sense of community and trust with your readers and you’ll be successful as a blogger. That doesn’t mean you can’t grow your blog and still reach a niche community on a personal level. Peter of Bible Money Matters and Nick Loper at Side Hustle Nation do a great job of staying focused on their core visitors but have grown to big fish blog status. 1) Get involved in a blogger group. Bloggers love to share advice and feel like they’re not just some lonely person wearing flip-flops and shorts to work and typing at their computer. I started going to an annual conference of financial bloggers in 2015 and it has made all the difference. You’ll get more opportunities for guest posting from your blogger friends. They’re more likely to share and link to your blog and will participate in your posts. A blogging community is a great source of emotional support, especially through that first critical year of blogging. Being part of a blogging community means you don’t have to reinvent the wheel. You’ll get years of experience just reading through a group’s Facebook page or attending a conference. Look through Facebook pages for blogger groups in your topic area. Make sure the group is active and not just a page people use to spam their posts. It helps if you can find a group developed around a regular conference. Meeting other bloggers in person is still the best way to build that sense of community. 2) Limited blog traffic and a newer blog probably means you don’t get much respect from Google yet. That means you need to go a little further in ranking your posts, giving them an extra push to get noticed. Ranking any size blog starts with a keyword research process, finding the three- or four-word phrases that you can compete for targeted traffic. You won’t be able to compete with the big fish on huge keywords like ‘making money’ but you have a shot at targeted blog traffic from searches like ‘making money with a cooking blog’. Follow it up with a simple on-page and off-page SEO process that you use on each post you write and you’ll start seeing your blog traffic surge! Even many of the big blogs neglect SEO and it’s one of the easiest ways I’ve found to step up and stand out. I use my SEO process to rank for more than 1,700 keywords on the first page of Google alone and it brings me targeted traffic that’s ready to buy. Check out my process for ranking every post on Google. 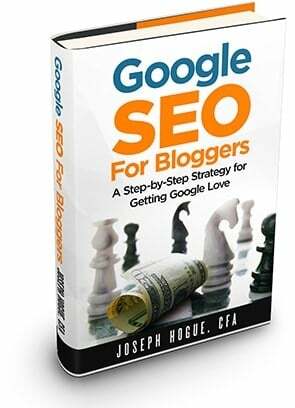 Google SEO for Bloggers is a step-by-step guide to getting the Google love you deserve. 3) Finally, learn the different ways blogs make money and how to think strategically about blogging income sources. There are a few income sources you can use to make money immediately, even on a blog with very low traffic. Pay-per-Click advertising from Google Adsense or other networks pay each time someone clicks on a link from your blog. That means one visitor can become one click and you can start making money. Sign up to affiliate networks to link your blog to products and special offers. Visitors have to click through and make a purchase for you to get paid but it’s still an almost immediate source of blog income. Some other sources of blogging income take a little longer to develop but will mean more money. Making money on the quick and easy income sources will give you the motivation to keep blogging. It’s amazing how fast blogging traffic grows if you just keep at it. The top ten blogs in the graphic have only been around for an average of six years…and that’s an eternity in internet terms. After just a year of blogging, you’ll notice a huge increase in your traffic and the strategies that are making money. It’s this process of building up into different blogging income strategies that have helped me make over $19,000 in the first three months of 2017 alone. Check out the nine income sources that bloggers are using to make thousands a month. 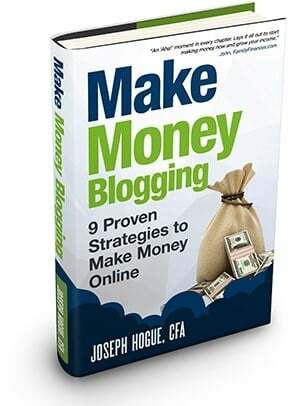 Make Money Blogging is written to give you the fastest income sources first before developing the strategies to turn your blog into a six-figure success! Too many new bloggers worry about their blog traffic. I did it. I guess every blogger I know stressed about the size of their blog at some point but even a small blog can make money. 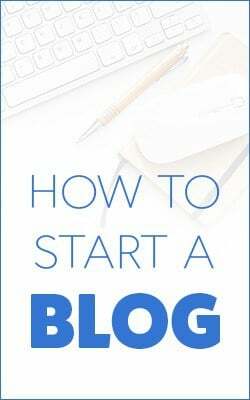 Learn how being a new blogger works to your advantage, find a community of bloggers and learn how blogs make money to be successful with any size blog. Fun concept here! To reinforce what you’re saying, I earn over $10,000 per month online because of my website, but not on my website. If it were not for Personal Profitability, I wouldn’t have the platform that launched me into my current six figure online career! Great point Eric. A lot of freelancers use their blogs as platforms for their for-hire jobs and do great. I’ve seen it myself with my crowdfunding blog, Crowd101. It makes ok money on a couple of books and some advertising but nothing like the other sites earn. Where it has really shined is getting me writing gigs within the topic (particularly a $3,000+ per month newsletter gig). All kinds of ways to make money online independent of how much traffic you get.